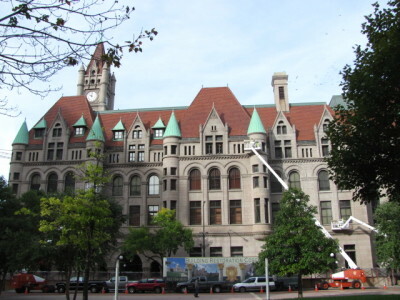 The “Twin Cities” of Minneapolis St Paul are loaded with significant and interesting attractions. Of the two, Minneapolis is larger and more cosmopolitan while St Paul has a small city charm. Despite the fact that they are almost always lumped together, they each have a distinctive character and fascination. We began our day in the Minnesota capital, St Paul. Our first stop was Rice Park which is anchored by the Landmark Center, once a government building that has been lovingly restored. 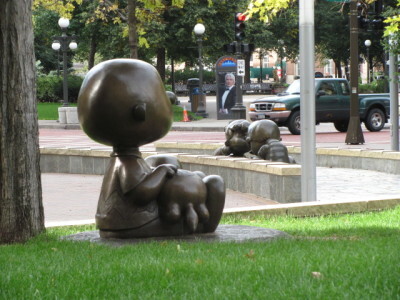 Rice Park, in front of the center, features adorable sculptures of Peanuts characters in memory of Charles Schultz, who grew up in the Twin Cities. 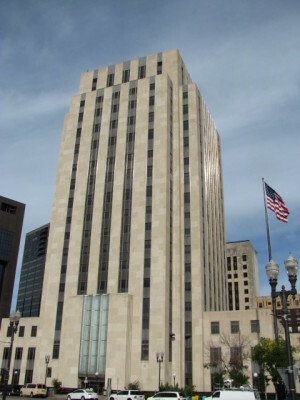 Our next stop was St Paul’s Art Deco City Hall building which stands prominently above the Mississippi River in the downtown. 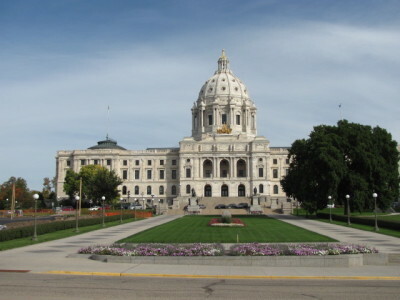 Next we headed to the beautiful Minnesota State House, which sits prominently on a hill overlooking the city. The grounds are spectacularly landscaped and the building itself is positively gorgeous. The State House has the second largest unsupported dome in the USA (after the US Capitol Building in Washington DC). Not far from the Capitol Building, and also perched on a hill, is the Cathedral of St Paul, a huge church which was designed to resemble St Peter’s Basilica in Vatican City. 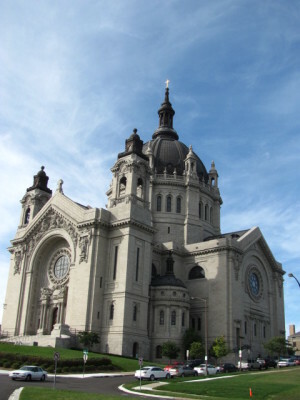 Summit Avenue, which begins at the cathedral, is the most famous street in St Paul. It contains the longest stretch of vintage Victorian homes in the country. 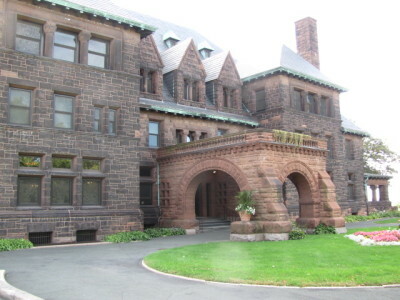 One of the most beautiful and impressive of these homes is the James J Hill House, a former governor’s mansion. From here we drove to Minneapolis to do my downtown Walking Tour of Minneapolis. 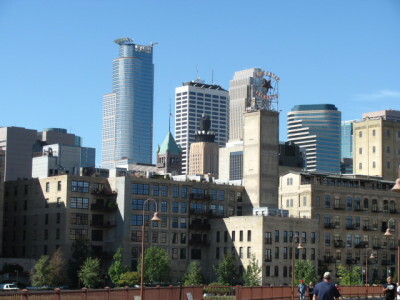 We began by walking along the Stone Arch Bridge to get a good view of the Minneapolis skyline. 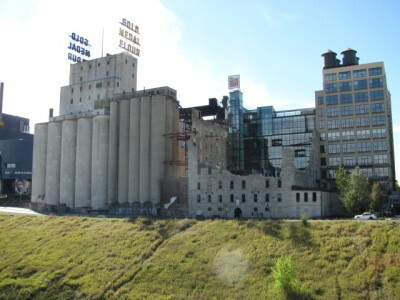 Some of the old mills that lined the Mississippi River shoreline have been converted to lodgings and a museum, the Mill City Museum, which is dedicated to the days when Minneapolis was the flour and baking capital of the USA. 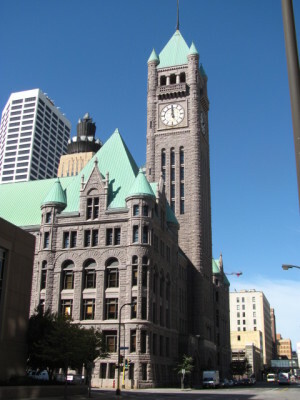 The City Hall of Minneapolis is prominent and distinctive. It contrasts sharply in style with the skyscrapers around it. After returning to our car, we drove to the Minneapolis Sculpture Garden, just outside the downtown. We strolled around the park attempting to understand the meaning of the various sculptures on display. 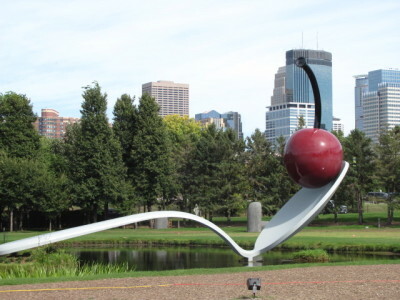 The most famous sculpture in the park is the whimsical Spoonbridge and Cherry. Finally we left the Twin Cities and headed for the number one attraction in the state of Minnesota, the Mall of America, located in the Minneapolis St Paul suburb of Bloomington. The Mall is absolutely huge. 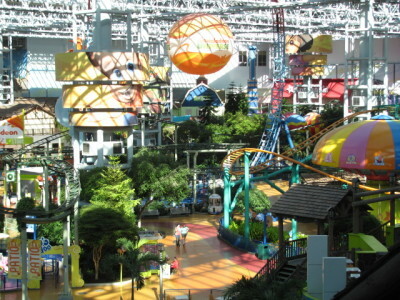 It contains a hotel, some forty (40) restaurants, movie theaters, and Nickelodeon Universe, a complete theme park. 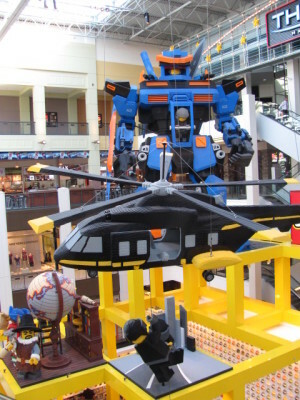 There is also a huge Lego display which reminds me of my grandsons, Braden, Cooper, and Zachery since they all love Legos so much. 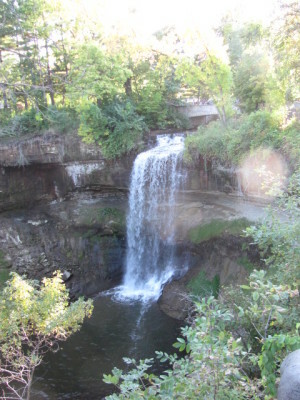 Lastly, we made a brief side trip to Minnehaha Falls, to incorporate a bit of Longfellow and the Song of Hiawatha into our trip.